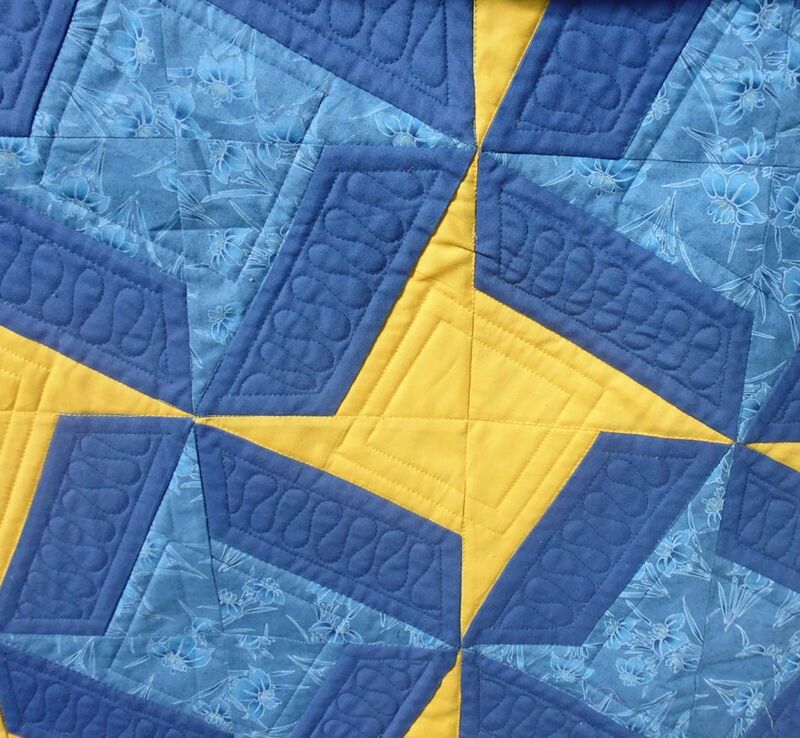 This bright yellow and blue quilt will suit a West Coast Eagles supporter! How to quilt it? As usual, I started by stitching in the ditch around all the blocks, then I echo stitched about a half inch in inside the plain blue shapes, filling the inside area with a ‘ribbon candy’ motif. 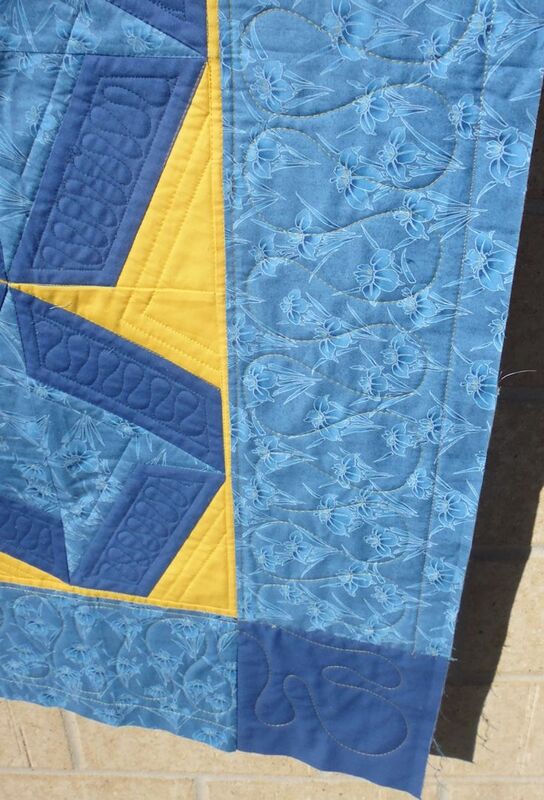 I then stitched a square about a half inch in from the centre of the paler blue shapes. 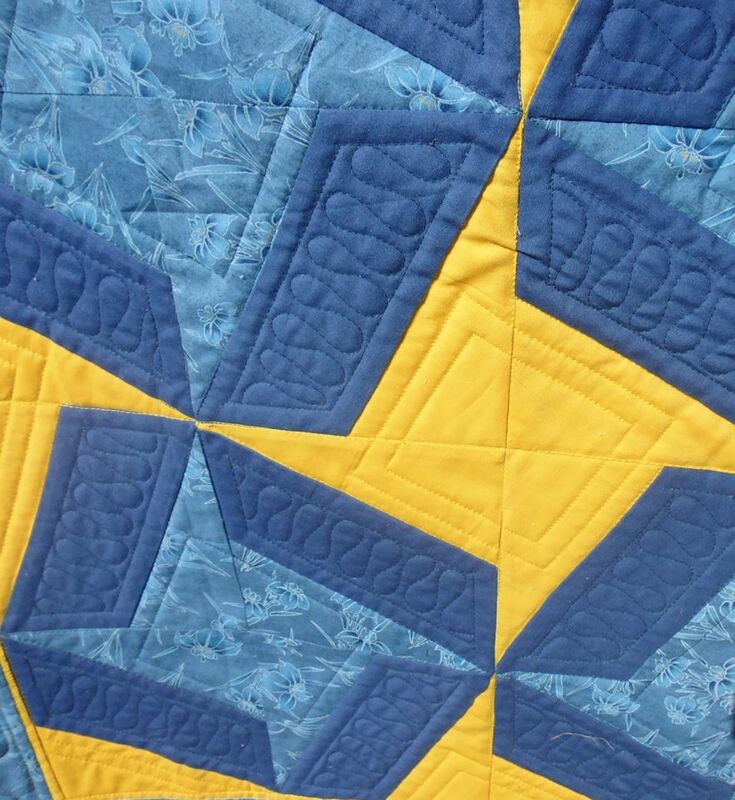 I stitched a similar square — though with two rows of stitching about a half inch apart — inside the yellow shapes. 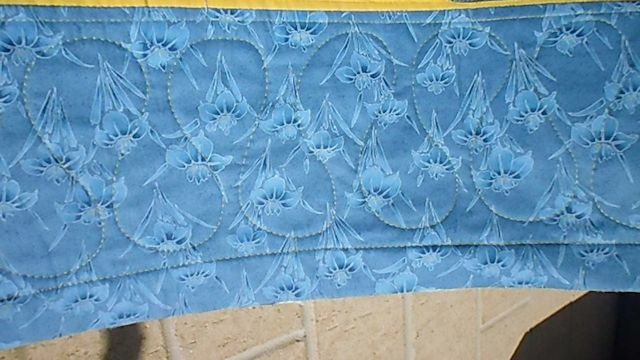 For the border, I stitched a quarter inch echo around the main top, then another straight line 6″ out from that line. Inside, I stitched large looping ribbon candy. I used my Line Tamer ruler for the straight lines, and free-motion stitched all the ribbon candy. 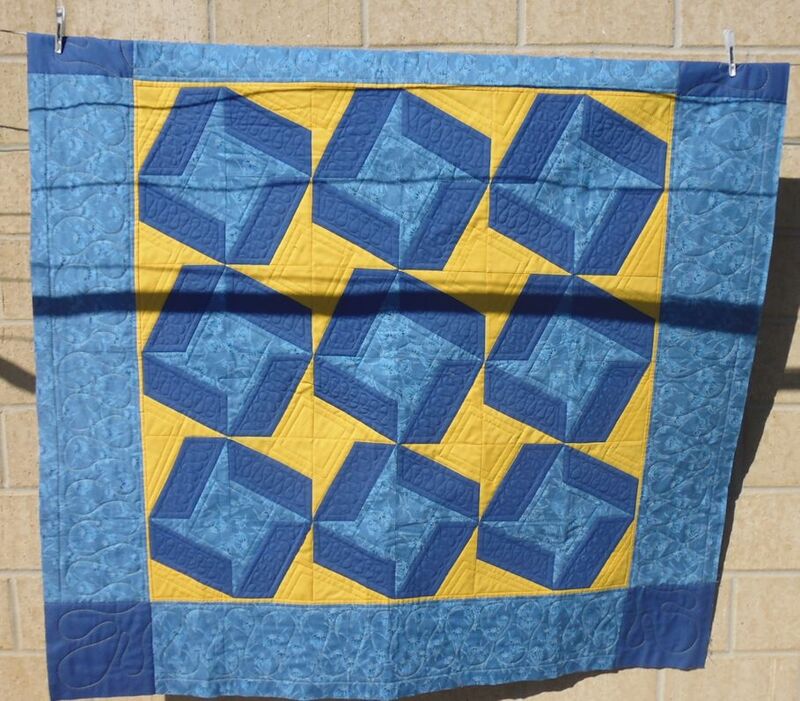 I love the quilting on this one–just enough, not too much. It brings a simple quilt to life.